Segmen : Tasha ! 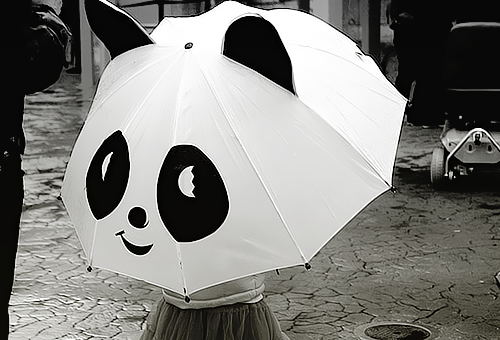 I want header like you ! Copy banner di atas dan paste kan kat blog korg. Buat satu entry mengenai segmen Tasha ! I Want Header Like You! Tinggalkan link penyertaan di bahagian komen blog kak Tasha. Segmen ini akan terbatal sekiranya penyertaan kurang daripada 10 orang. Tag 3 orang .Make sure mereka tahu. 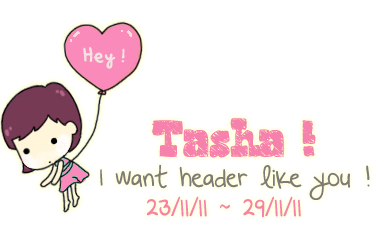 10 orang yang terpilih akan menerima header special edition by kak Tasha. Welcome here!Best viewed in Google Chrome.Aww~ You look great today.Click the tabs below to explore my blog.Before leave, don't forget to leave a message. Thanks for visiting. - Need your respect here. Annyeong Haseyo! Big smile for you! yes you're someone in front of monitor! BFF: All person who know my story and loves me. Cik Ziela menawarkan tempahan header free kepada blogger seluruh Malaysia.Maklumat lanjut klik link ni. Jom Tempah Header..Jom tengok header free yang pernah ditempah. This layout is created by CikZiela, with inspirations from ✿,image from ✿ and colors from ✿, cute tree i take from here ✿, icons from ✿ and ✿, some tutor from Amalina Ho, and some codes from Wawa and Apis.To make header,i use Photoshop cs4. The music was help from here ✿ and here ✿. Temui kami di facebook.Singgah ke Butik FiQ'Ra nak ?? Saya ahli yang tak aktif memandangkan PMR tahun ini.